Things To Do at The Lodge in Melkbosstrand, Cape Town. With so much to do, you’ll just have to make extra time and extend your stay at The Lodge in Melkbosstrand, Cape Town! Located on the outskirts of Melkbosstrand, The Lodge 4 star boutique hotel is your perfect launching pad to the incredible diversity of activities that Melkbosstrand and Cape Town have to offer. 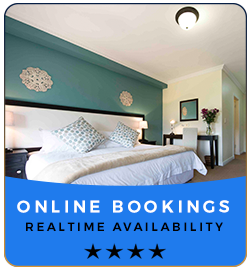 Melkbosstrand is situated a mere 25 minutes’ drive from the bustling Cape Town city centre and approximately an hour from the historic Simons Town on the other side of the Cape Peninsula, we’re virtually willing to guarantee that you will find an activity to suit your personal tastes! Africa’s best shopping centres; exciting, awe-inspiring outdoor adventures; the finest gastronomic delights; award winning, locally produced wines; a colourful, diverse and globally renowned history and a cultural diversity that begs your exploration – you will find it all right at your doorstep here in Melkbosstrand and Cape Town!